A fun shape to make a plethora of different jump styles. Use alone or with rails. Stagger a pair for oxers or use a single hedge for a skinny. This alternative filler has the perks of solid fillers without any sharp edges or nails. Easy to clean, UV resistant covers are exchangeable and customizable. This stable shape is inviting and modular. It is 57 inches in length and 18 inches to the peak. Use the velcro strap to attach directly to a standard or ground pole. Stack 3 units up for a higher, larger obstacle. Super stable shape yet simple to move. These fillers have all the benefits of larger, natural looking obstacle without all the weight. Use on the ground or insert your jump rail and raise to your desired height. 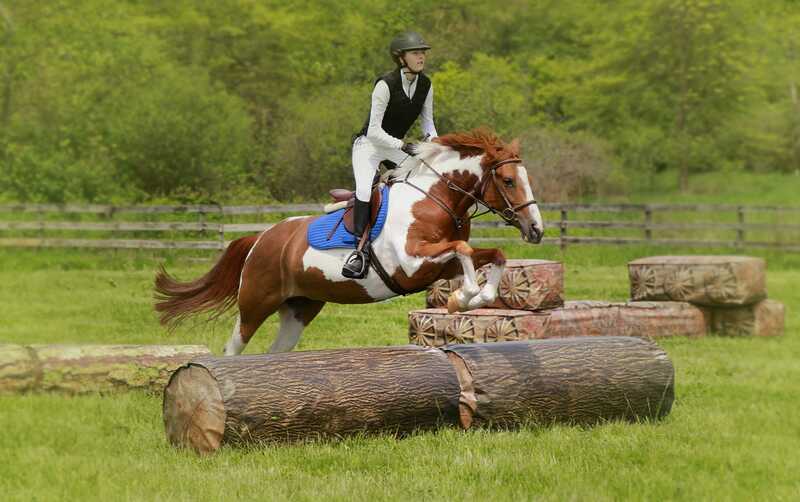 These logs are seen in hunter derby and eventing, as well as many western and trail classes. Simple to store, easy to share an arena, changing a course is a breeze. Available in mossy log or dark bark. 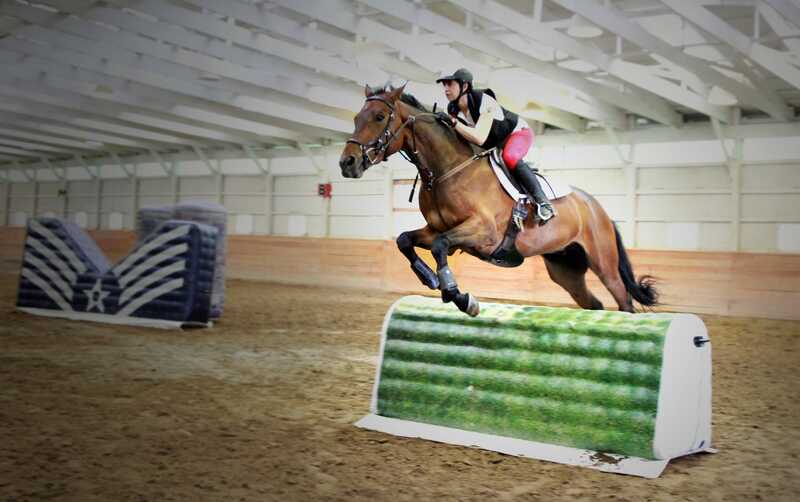 These logs are seen in hunter derby and eventing, as well as many western and trail classes. Simple to store, easy to share an arena, changing a course is a breeze. Available in dark bark. This one is huge! 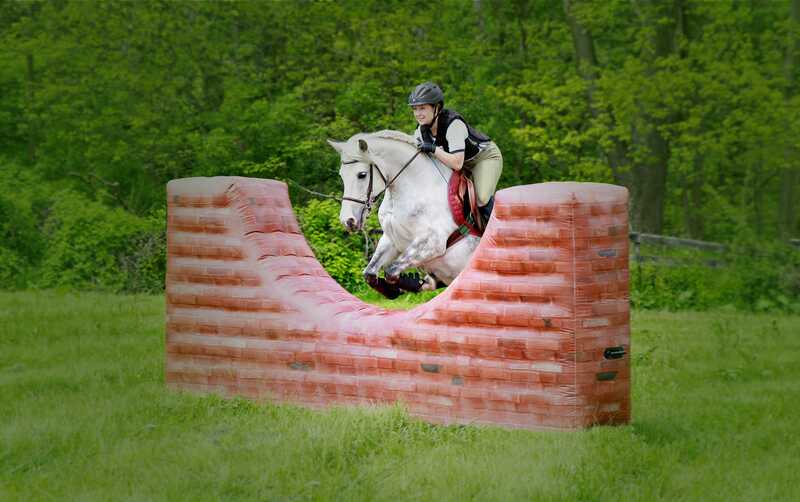 Challenge your horse and yourself without the dangers of having to cut down a tree or move a real log. This filler can simulate the hanging logs seen on international eventing courses or use it directly on the ground.